-Just as an FYI, did you know “Baby” carrots at the store are just regular sized carrots ground down to stubs? 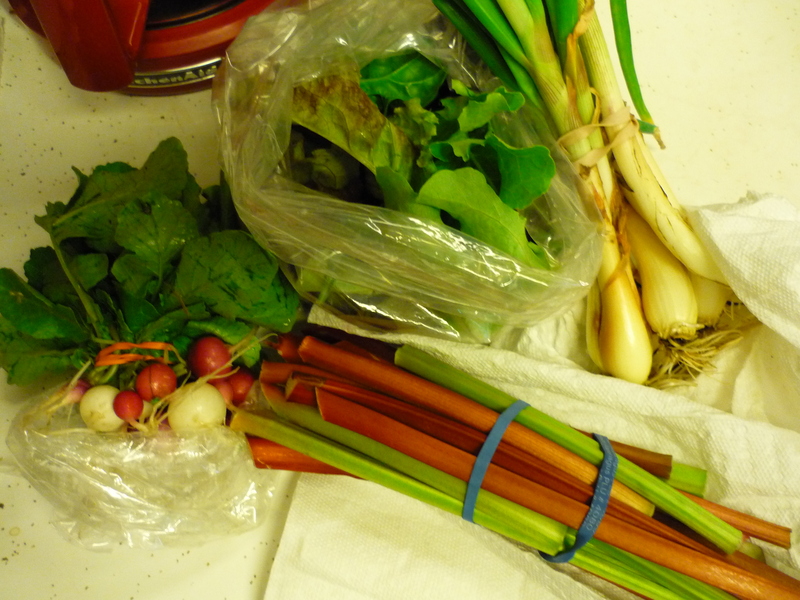 CSA Shares week 3 and 4. WEEK 3: I forgot to take pictures of the shares last week. Whoops! 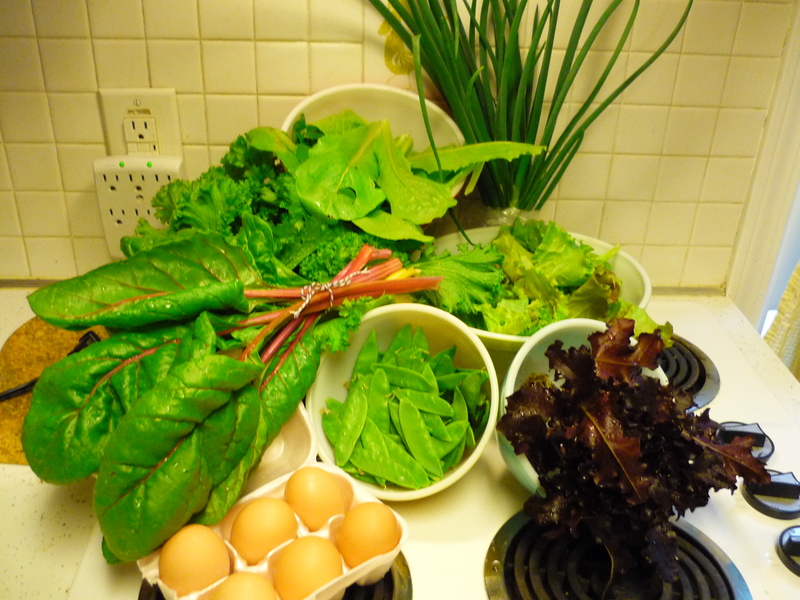 But I can tell you, in the share was 1/2lb mustard greens, 1/4 romaine lettuce, 1/4 lb red leaf lettuce, a dozen eggs and 1/4 lb spicey salad mix. 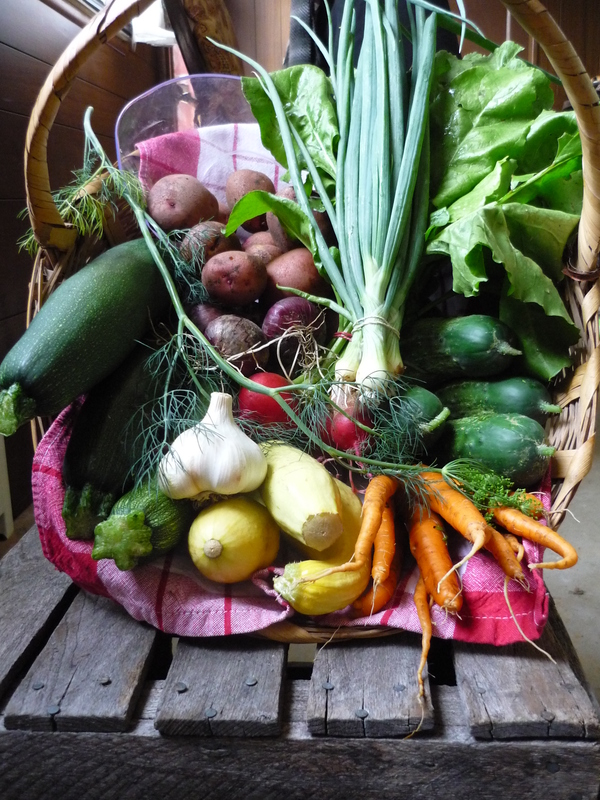 Week 4: I just harvested a share for delivery tomorrow, and I am just tickled!! This week is the best so far, and hopefully an indicator of the weeks to come! I’ll let you have a look, then give you the details. OH! This is what I live for. 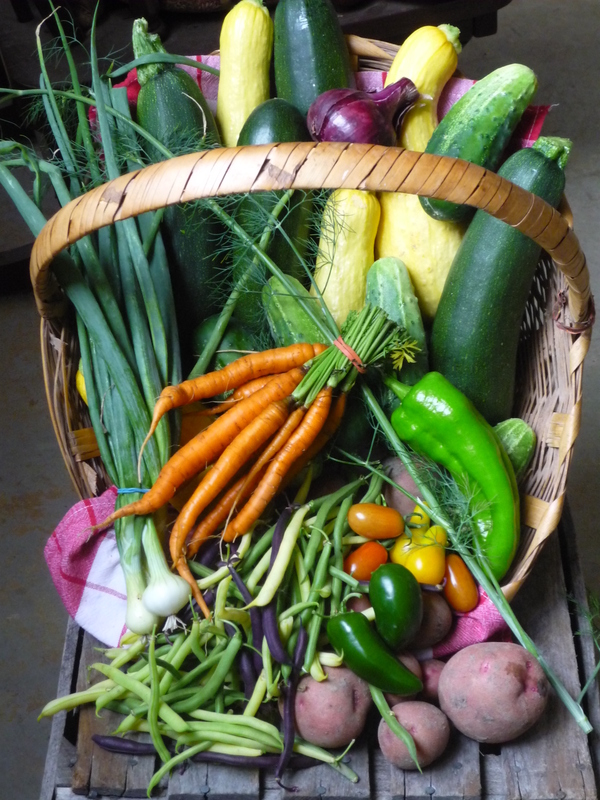 🙂 I hope my CSA customers are just as happy! 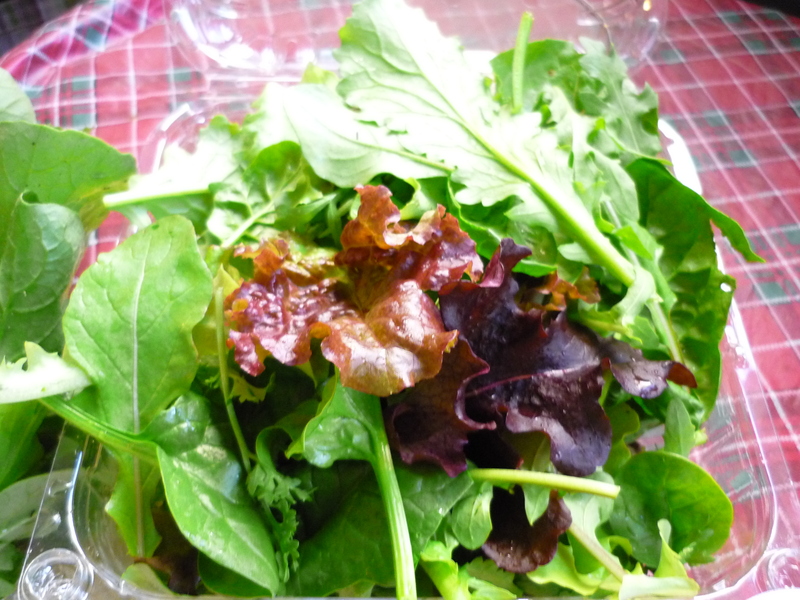 What’s Happening on the Farm, CSA shares week 1 and 2. Well, we’re coming into prime farming season! 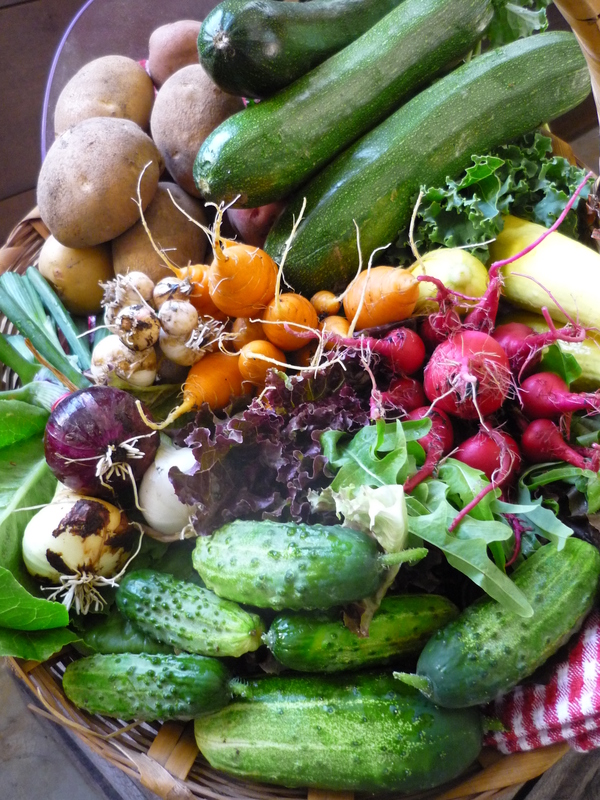 Things have been busy here at the farm, and are bound to only get busier! I’ve sat down to update the blog a million times it seems, but something farmy always interrupts! 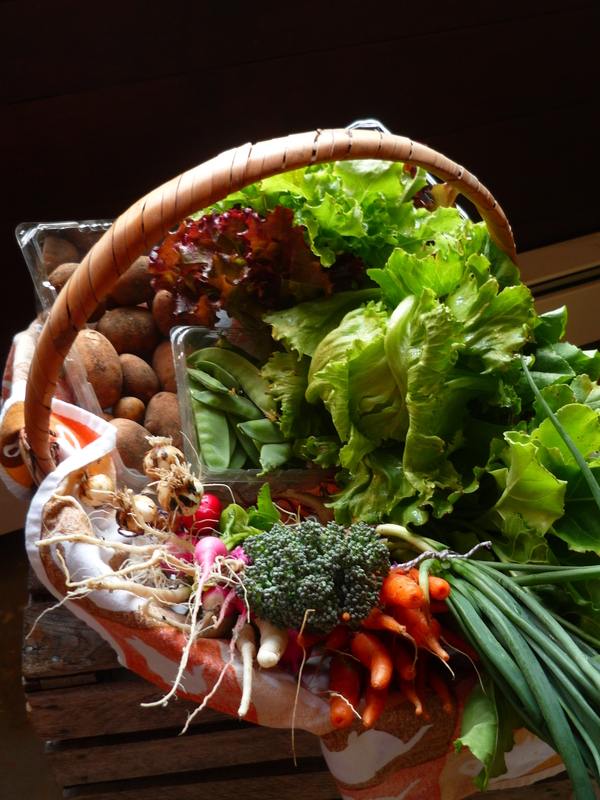 The most exciting news of the past few weeks is that our CSA customers got their second full share this week! Yeah!! We planned for a 12 week season, just to be cautious, as it is our first year. 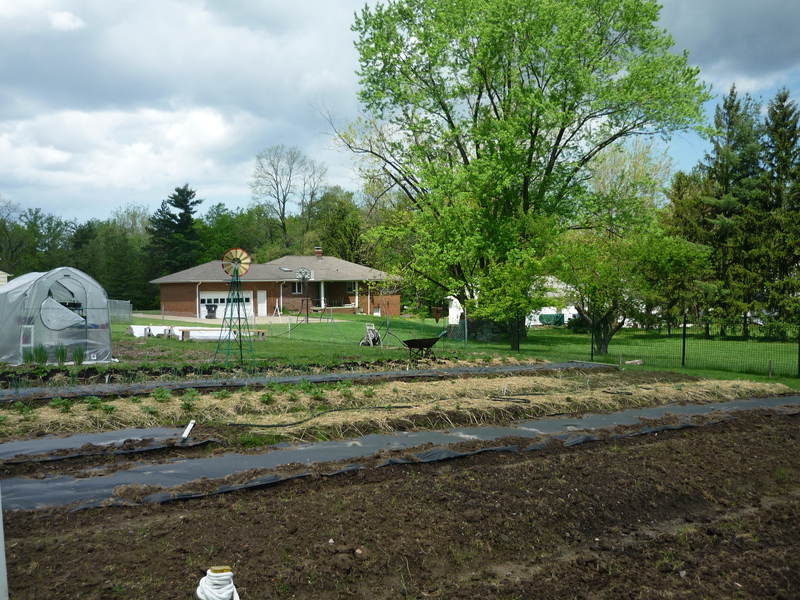 But with this terrific weather, it looks like we’ll be able to get 18-20 weeks of veggies. 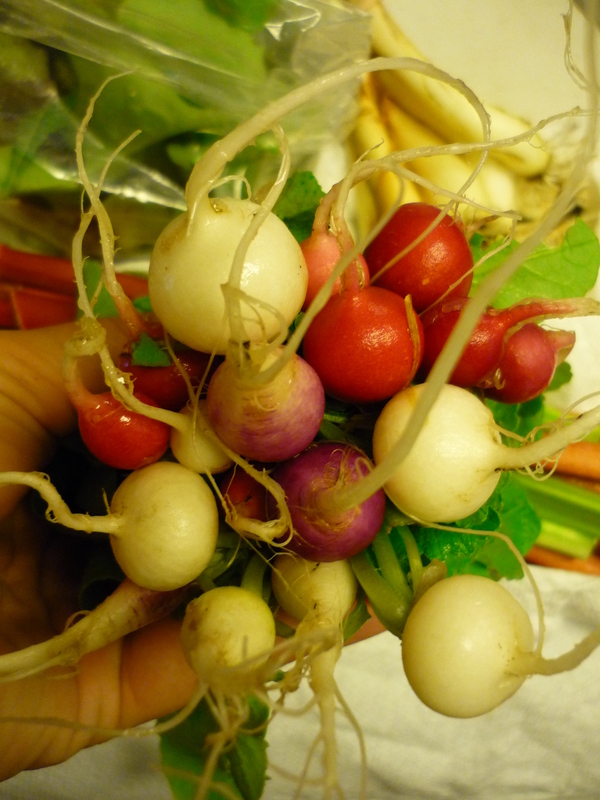 My official favorite vegetable to eat and harvest this season is the Easter Egg Radish. 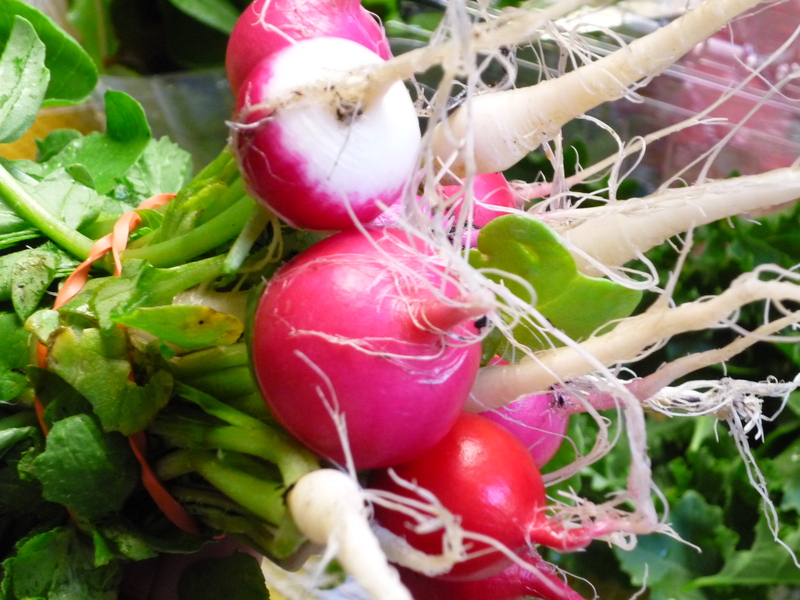 It’s a mix of purple, red, pink and white radishes. They’re so darn cute, and you never know color you’re going to get! But the flavor is fantastic. It’s sweet and mild. It doesn’t have the harsh spiciness of some other varieties. I’ll definitely be planting more of these! I’ve taken all kinds of photos over the past few days to share with you, but every time I walk outside, it seems things have doubled! So although they probably look different now, here are some recent photos to give you an idea where we’re at. 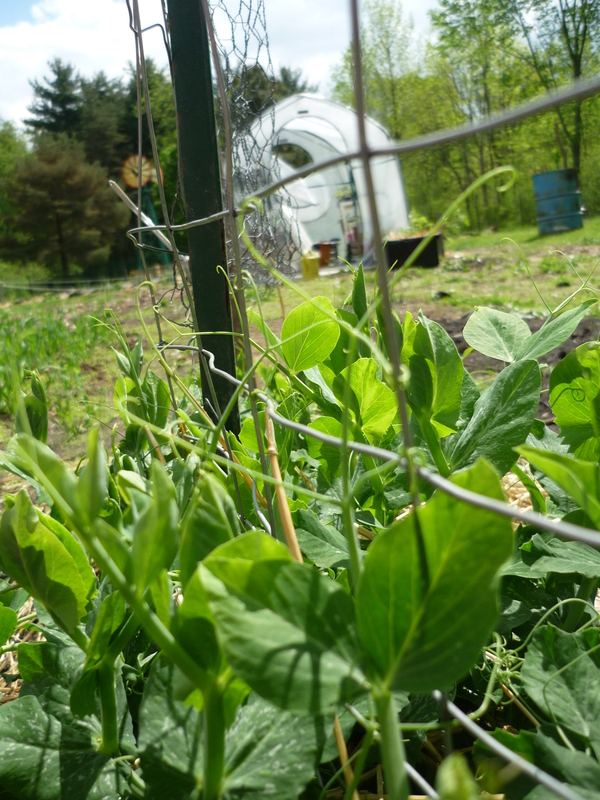 The sweet peas are growing beautifully, and are about knee-high. 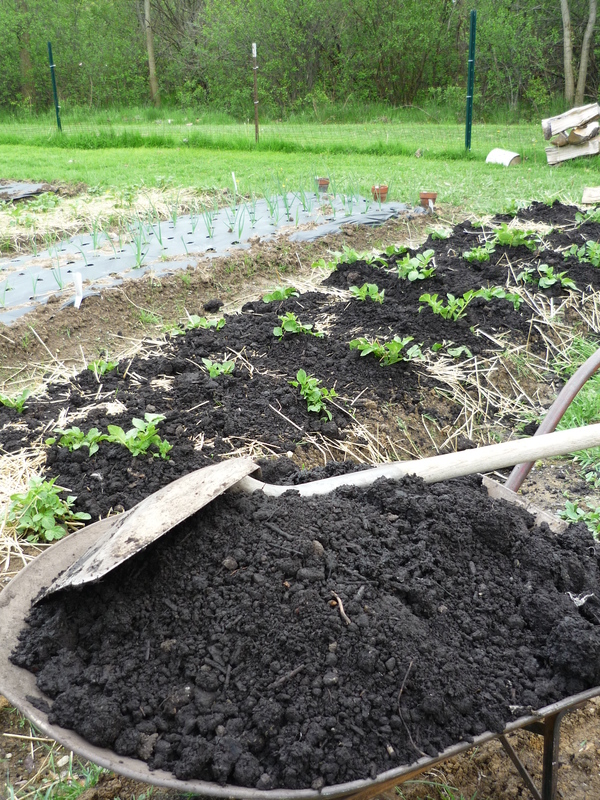 The first bed of potatoes and most of the second are about a foot high, and have been mounded. 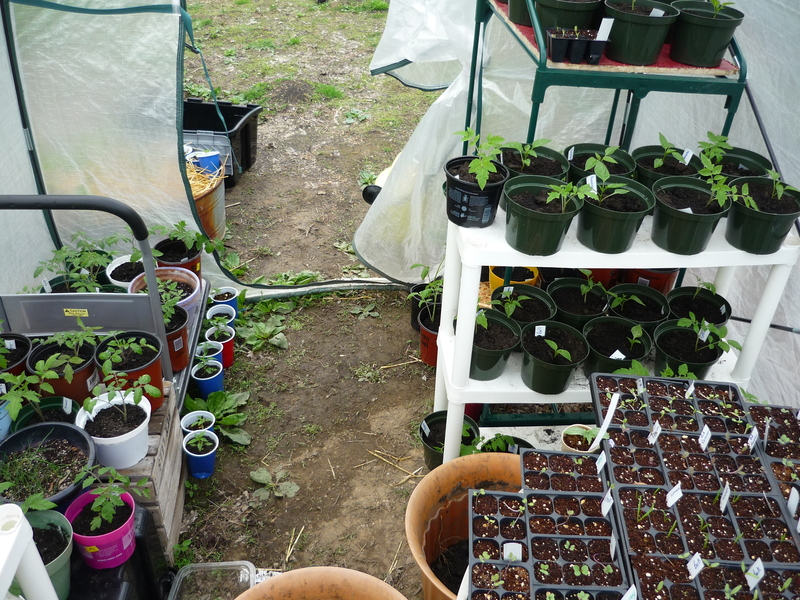 Our mini-green house is full to the brim with seedlings waiting for the final plantings! 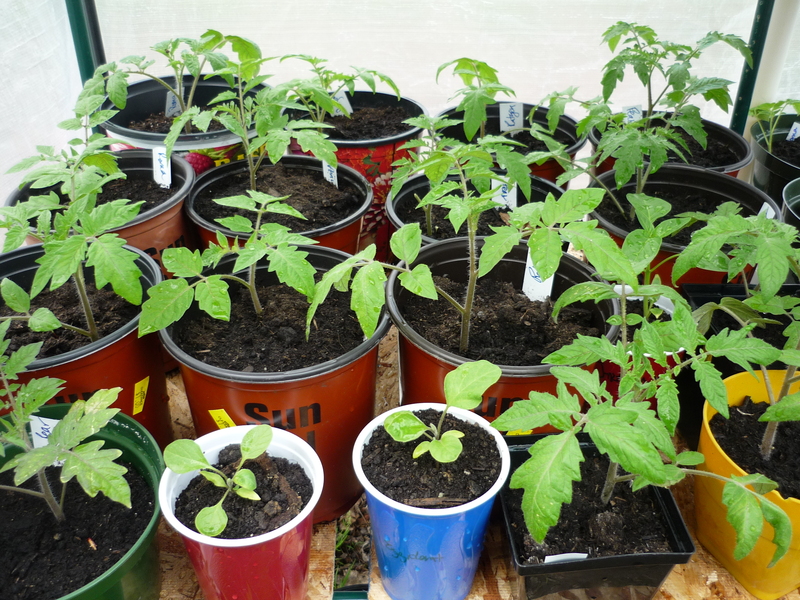 Tomato and pepper sales have exceeded expectation! We’ll definitely be taking orders for next year, so look for more information this winter! 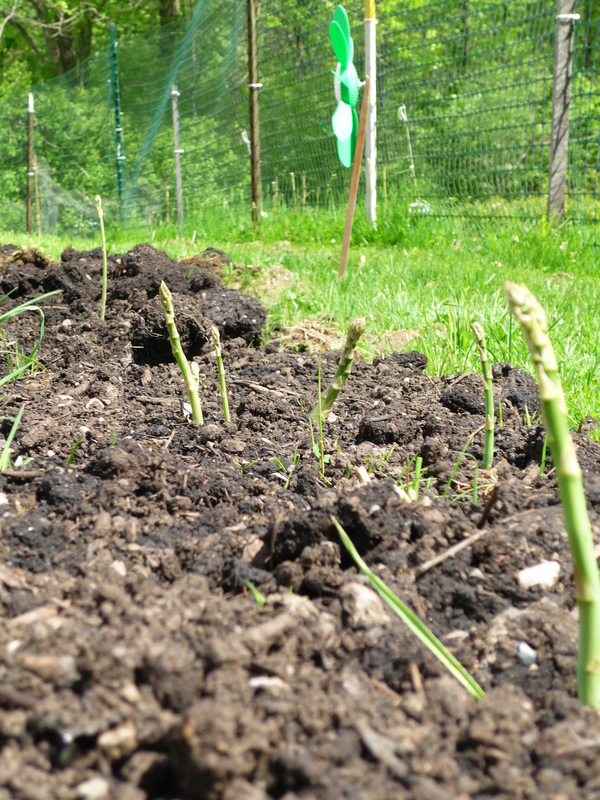 About half of the asparagus I planted has come up, and it looks delicious!! I can’t wait to have a taste next spring! 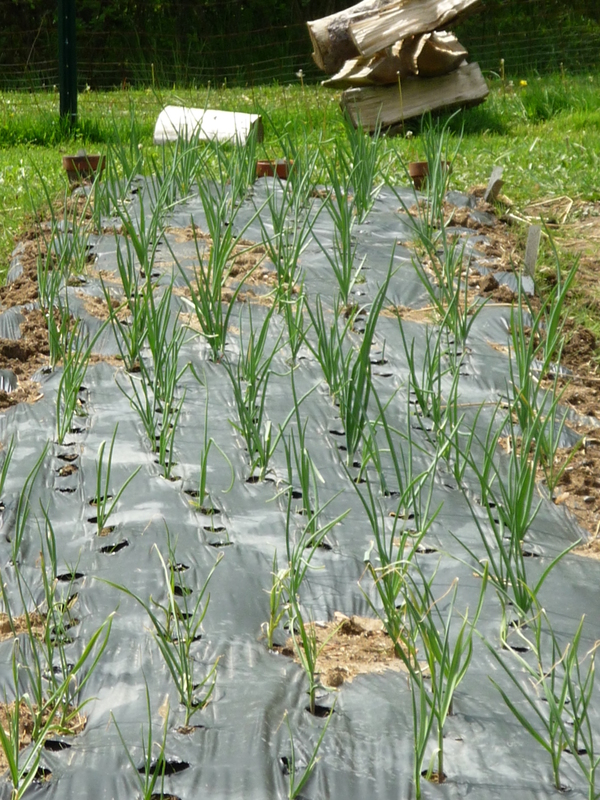 We have 10 planting beds finished, and some covered in black plastic in anticipation of tomato plants. Only 5 more to go!! 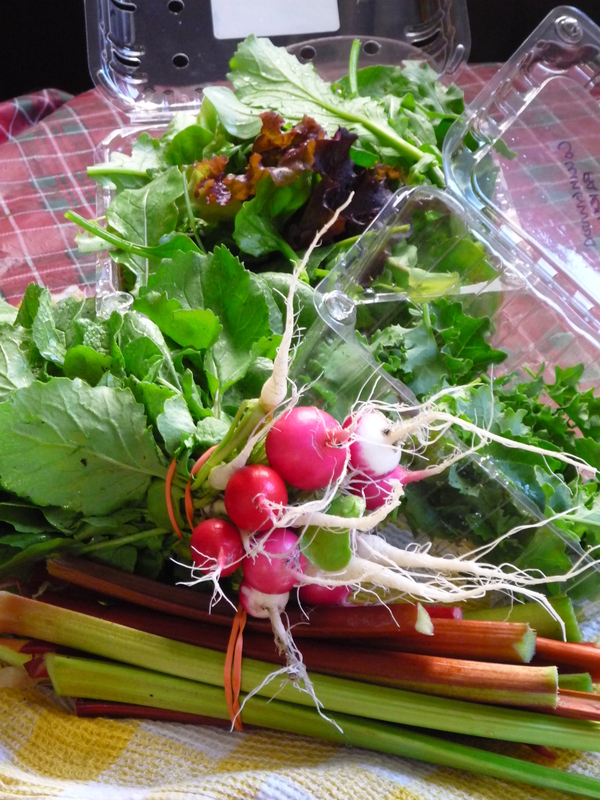 our Icicle, Easter Egg, and Sparkler radishes. Check back soon, I’ll have more updates!